I am Martin, 30 years old from Germany! I mostly play rock music, the 8" and 10" tom were rarely used by me. 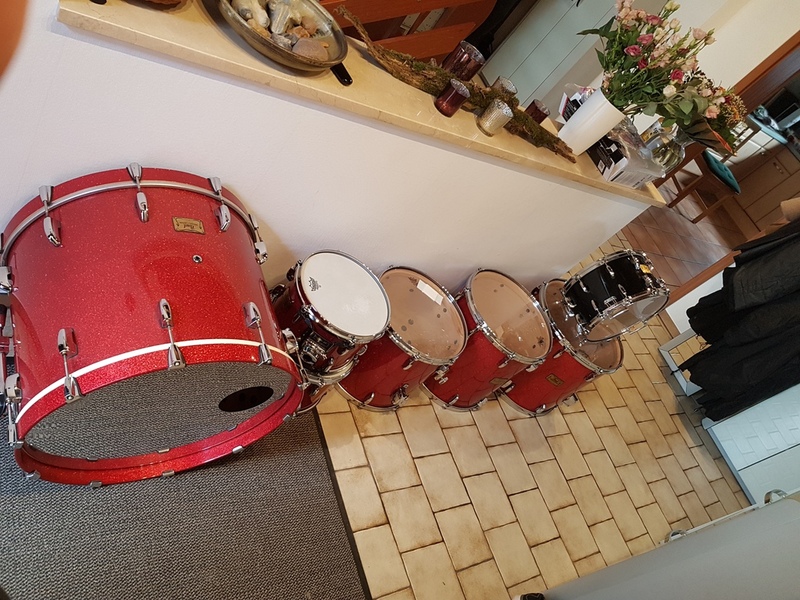 Sometimes I take a look in eBay classifieds - and there was my dreamkit...Pearl MMX red sparkle 24x18, 12x8, 13x9, 15x14, 16x16, 18x16...i felt in love. I also loved my puplemist kit, but for the red sparkle i would sell it. 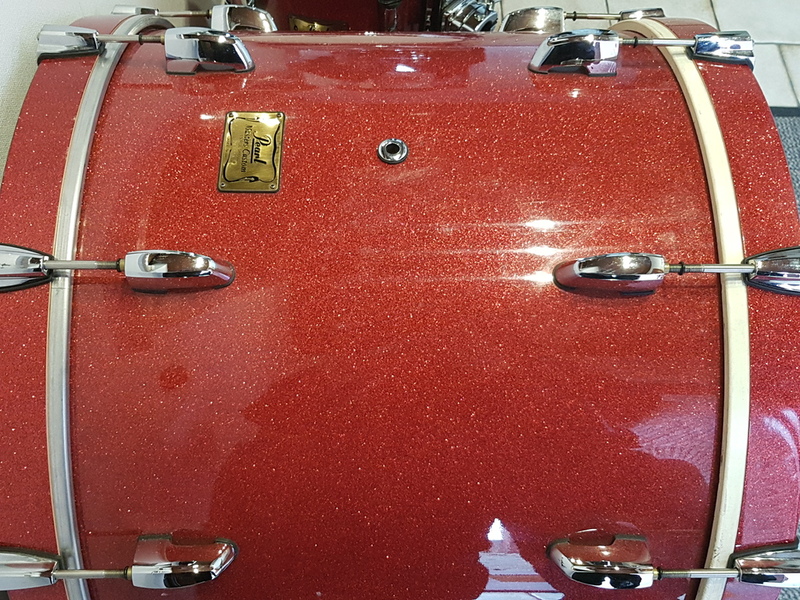 So i found a buyer for my kit and got the deal with the seller of the red sparkle kit. I drove 1300km through Germany...I sold my puplemist kit on the way to the red sparkle kit. It was a hard day with 15 Hours on the road, but it was worth it! I am very sorry...first post and directly a mistake. I think the thread must be in "show us your kits"...if necessary please put it there. Welcome Martin! Nice kit. Your English is fine. Beautiful MMX and Paistes! You're welcome to post pics in both of those sections. You're also welcome to join The Masters Army and post pics there as well! Your English is very good. Welcome! Last edited by nova; 02-06-2019 at 02:04 PM. Welcome Martin. You have fine taste in drums. Congratulations! 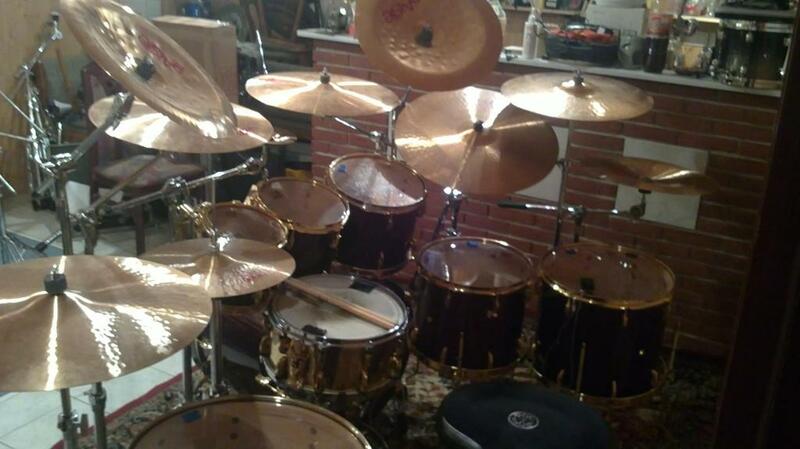 Can we get your cymbal specs please Martin. 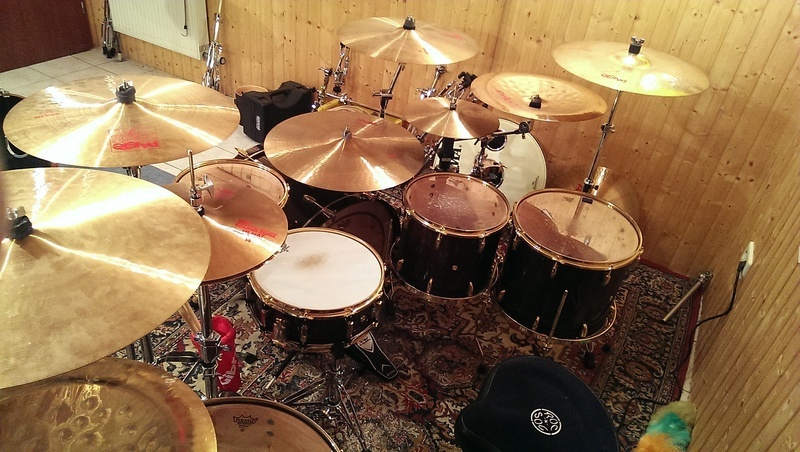 humble offering of Paiste 2oo2’s. 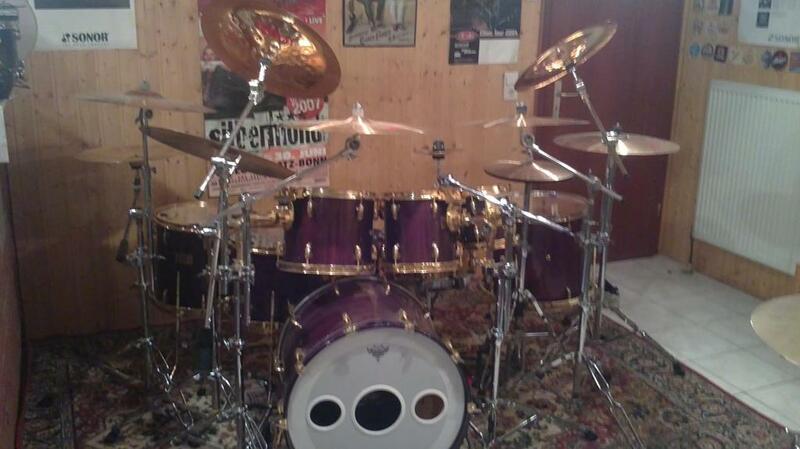 hey eric, also a nice cymbal Setup! Thank you all for the nice welcome here! 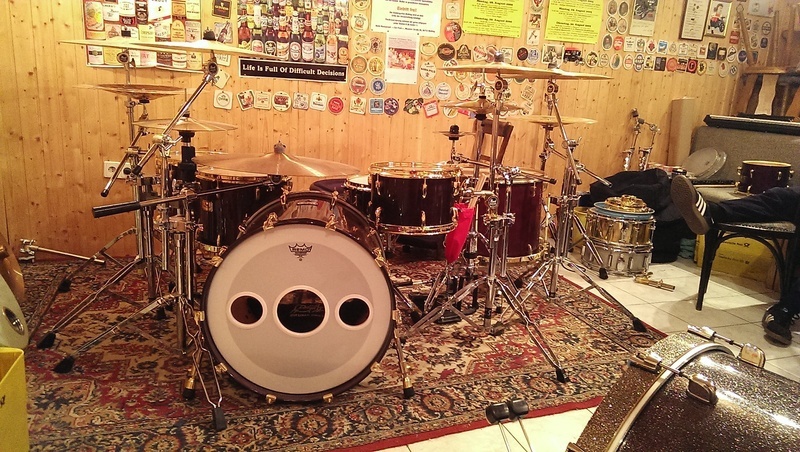 Nice kit and love that red sparkle finish Martin!